Your services are dynamic. You deserve a dynamic brand. A brand is a core visual identity—the colors, fonts, patterns, and imagery that create a consistent feel no matter where in the world a business (or other entity) appears. The best brands are not only unique but visually champion their owners’ messages. Think McDonalds: you’d know the golden arches anywhere, and for many, they still symbolize quick, cheap comfort food. In short, your business’s brand is one of the keys to effective marketing communication and connecting to your target audience. That’s why we offer brand development services with most of our primary packages! We want you to achieve success—so we brought in help. 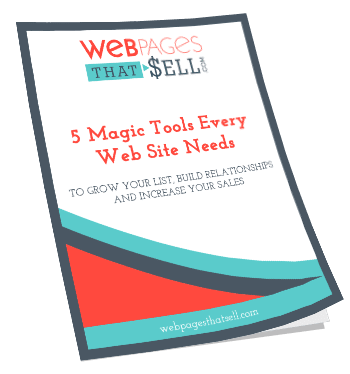 Web Pages That Sell has partnered with Karen Yabarra over at Inspired Creative, and she’ll be helping you design a super-cool brand that speaks to your “tribe.” An expert in her field, Karen has been helping businesses amp up their branding for years! She knows how to heighten your business’s visibility and ensure your audience knows you exist. Our journey together starts with your brand development. We research your industry, competitors, and niche market so we know just how you can stand out. We create a brand identity for you that will connect to your ideal clients and entice them to do business with you. We provide brand guidelines and assets so you, your employees, and your vendors can use your brand consistently over time. You retain 100% ownership of all artwork! What does “brand development” actually include? Up to 2 logo concepts—choose the one you like most! Not ready for full brand development? Or perhaps you just don’t need it. No matter the case, we also offer a standalone Logo Development Package and Social Media Graphics Package. Branded social graphics and templates that you can use to post your awesomeness on Facebook, LinkedIn, Twitter, Pinterest, and Instagram! Video instruction on how to use the app Canva (canva.com) to create your posts.